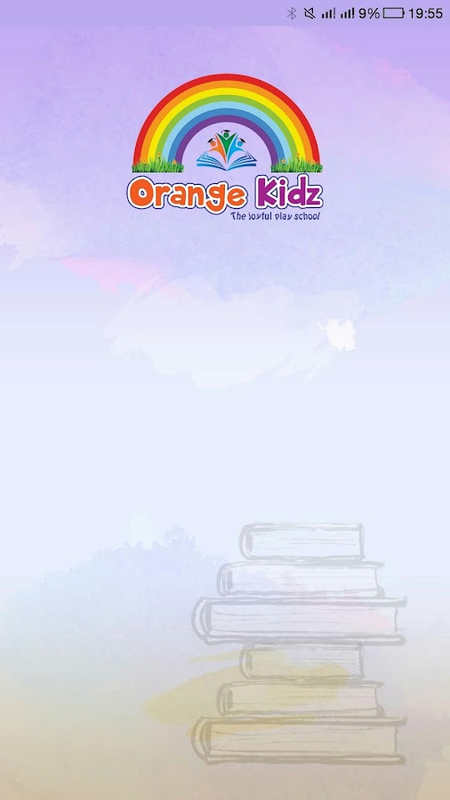 Orange Kidz ~ The Joyful Play School Android App for Parentstoaccess Daily activities details, attendance, Assignments etc. Welcome to the mobile of "Vidya Dayini Model High School"
Welcome to the Mobile application for "CHIREC International School"
Welcome to the mobile app of "Jain Group Hyderabad"
Mudra Concept School application is state of art mobile applicationfor Parents to get notifications on Homework, Attendance, Exam Timetable, Progress Reports details, Meetings, Holiday reminders and alot more. Welcome to the mobile of "Sri Triveni School"
Babaji Netralayaa ~ Group of highly qualified, well trained &dedicated doctors have come together with all their resources &experience to establish a tertiary health care unit within reach ofthe common man.Babaji Netralayaa thus took shape to be run withhuman touch, compassion, care and highest degree ofprofessionalism.Babaji Nethralayaa Eye Hospital having 40 years ofexperience in eye care primarily CATARACT surgeries,employing thelatest expertise and technologies used worldwide .BabajiNethralayaa enjoys the finest knit ofmost efficient, dedicated andcompetent super speciality consultants,state of the art technologyandpersonalized care of a professional public relationship team.The Hospital is equipped with an In-House Opticaland MedicalstoreAdvanced CATARACT techniques like PHACO-emulsification.VisionCorrection Surgery- ICL (Implantable contact lens) more advancedthan LASIK. The d6 School Communicator is a stand-alone application designed tosimplify school-parent communication. The d6 School Communicatorincludes all the information an engaged parent would need at thetouch of a button, including News, Calendar events, Homework,useful Resources, Gallery and Contact lists. You may personalisethe information you would like to receive, giving you the latestinformation relevant to you. MySchoolBucks makes school meal payments easy for busy parentson-the-go! Quickly and securely add money to your student’sschool meal account using your credit card, debit card orelectronic check. You can also view recent cafeteriapurchases and check current meal account balances for eachstudent. MySchoolBucks is backed by Heartland PaymentSystems, one of the largest and most trusted payment processors inthe United States. **MySchoolBucks is available in participatingschools only** Notes on Permissions: · Camera permissions areneeded to allow parents to take a photo of their student. · Storagepermissions are needed to store the student photos and crash logdata. · Phone and SMS permissions are needed for theusername/password recovery by SMS process. Ryan Parent Portal provides communication app for Ryan parentsusing which they can download school announcements, Classassignments, Events. This is an App for Schools/Parents to receive asynchronous voicemessages from School using the Voice Snap for Schools Solution.Parents can click on the messages that are available on the Appinterface. The App will then download the selected messages fromVoice Snap Server. In case of voice messages, the same will beplayed and in the case of text messages, the same will be displayedin the App interface. WHY use Next Learning Platform app? • PARENTS can view fee-dues,student details, attendance and leave reports. Even leaves can beapplied by the parents and thus the school remains informed aboutthe absence of any particular student • TEACHERS and STAFF can viewtheir personal details, while managing students’ attendance andreports. They can directly mark students’ attendance using rollcall mode or mark attendance mode. Also, they can view their leavebalance, apply leave and approve/reject leaves. To utilise thesefeatures, download the app and login with valid credentialsprovided by your school. Company Details: Founded in 2007, NextEducation is a fast-growing, technology-driven companyrevolutionising the education system in India. Every day, ourinnovative products and solutions transform the lives of 10% ofIndia’s private-school-going children. More than 10,000,000students study in 10,000 of our partner schools, across a widesocio-cultural and geographical spectrum of the country. Traditionally, parents seeking information about their students'progress had to sift through assignment planners, emailinstructors, or wait for report cards. But the wait is over! CanvasParent is designed to provide visibility into your child'seducation at a glance. Canvas Parent allows parents to: • Viewassignment descriptions and due dates • Set reminders forassignments • View assignment grades • View course grades • Setgrade alerts • View course announcements Important: This mobile appis only usable by parents whose children attend schools that haveenabled Canvas Parent.